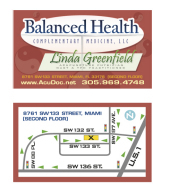 Balanced Health is about helping you to rebalance and heal with natural, safe, proven, non-invasive therapies to regain responsibility for your own health. I offer therapies for: ADD, addictions, allergies, asthma, arthritis, autoimmune, back pain, candida yeast, chemical sensitivies, CFS, constipation, colitis, detoxification, diarrhea, dizziness, dyslexia, ear infections, eczema, edema, fibromyalgia, fungus, GI disorders, IBS, indigestion, headaches, hives, hot flashes, joint pain, migraines, leaky gut, low energy, parasites, PMS, psoriasis, rhinitis, sciatica, shingles, sinisitis, stress, tinnitus, vertigo & many other disorders. While in Texas, Katherine was a massage therapist, instructor and continuing education provider for Meridian Massage. At the end of 2009 she moved to Florida and services currently include Distance Energy Sessions. When Katherine was offered her second corporate transfer to Houston, Texas, she decided to go for the adventure, knowing that if things did not work out she would just find a new career. Two years later she was in massage therapy school. 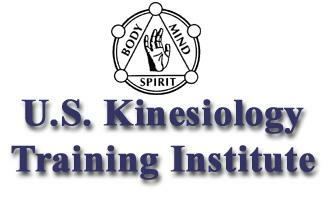 While there an innate ability to release energetic blockages in the body revealed itself. At the encouragement of her instructor, she pursued Reiki attunements. A year later, she was in Touch for Health Kinesiology classes. An auto accident and near death experience in 2002 interrupted her departure from the corporate world until spring 2006. During that time of physical healing, she began a personal journey that began with experiencing a major release of emotions stored at the cell level and decided to learn the technique called cellular release. She worked along side her mentor for over 100 hours to become one of his first certified practitioners and then became his first instructor who assisted other students in completing their hands on requirements. She has a distinct style of tuning into blockages related to child hood or past lfe traumas and then gently clearing them. This amazed her clients and she encouraged her students to follow their own intuitive senses. Over time, Katherine’s massage work turned into a subtle focus on the meridians. A new instructor introduced the emotions that are related to meridians. This information offered more insight into understanding client needs and led to deeper work. Adding Chinese Medical Massage created a blending all of her training into a personalized technique she calls Meridian Massage. While in Houston Katherine introduced a massage therapy continuing education course to pass this information on to other therapists. She invites her students to take away from her class exactly what they need to enhance their own practice. The next phase of Katherine’s work is documenting what she sees, the flow of energy from Source through different grid structures in and around the body. 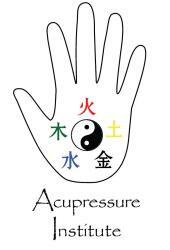 Massage bodywork acupressure swedish-massage deep tissue relaxing oil or lotion massage lymph drainage Customize your Massage Session. Using Reiki, EFT, Energy Healing, Meditation, Sound Healing and Aroma Therapy, I provide a safe environment for gentle touch healing.